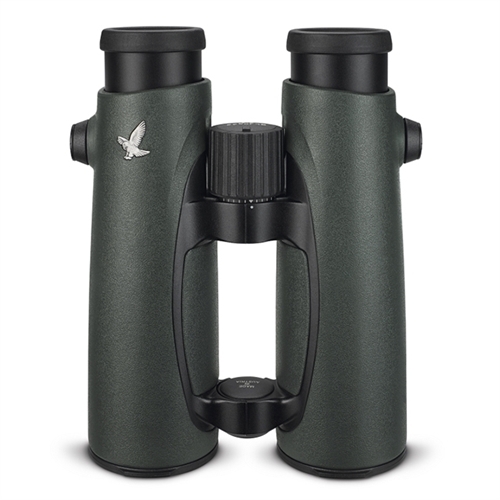 Swarovski EL 8.5X42 binoculars have all of the quality and clarity you have come to expect when purchasing a Swarovski. They are the perfect binocular for anyone looking for a full sized pair of binoculars with 8.5x magnification, excellent ergonomics, and top-shelf optical clarity. This new generation of EL binoculars feature enhanced lanyard attachments (compatible with all attachment and carry systems), a locking diopter, and an upgraded design for the objective lens covers - you won't be losing these in the woods, that's for sure. Swarovski EL binoculars mark a milestone in long-range optics. The premium binoculars from Swarovski feature crystal clear optics with an ergonomic design. The EL wrap-around grip which is enhanced by the new FieldPro package offers comfort that has not been experienced before while enjoying wildlife. With the combination of optics, ergonomics, and functionality, there's no reason to choose anything other than EL binoculars from Swarovski. Swarovski bring us closer to the outdoors and the beauty that lies within it. See what you couldn't imagine seeing before with Swarovski.